The web server used by Cavendishhotelharrogate.co.uk is run by Pallada Web Service LLC and located in Russia. 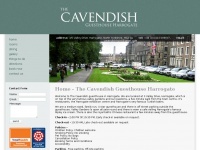 The website Cavendishhotelharrogate.co.uk has a own web server. The web server only runs this website.